This Level 1 Classware and Interactive DVD-ROM is the perfect solution to engage your students, giving you an array of options to choose from. 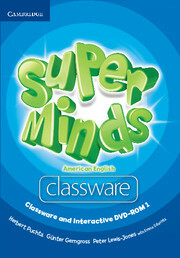 The Classware CD-ROM includes the entire Student's Book plus the Class Audio to use with a computer and projector or with an interactive whiteboard. Also, the fabulous Interactive DVD-ROM gives you the chance to play animations of the Student's Book stories, video-based activities, videokes, and interactive games to brighten up every lesson. 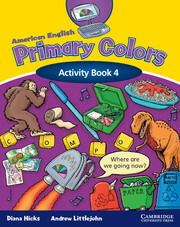 American English Primary Colors is a new 4-level course for young learners from six to eleven years old.